The collection of "Everything Will Be Okay" travel phrasebooks published by T&P Books is designed for people traveling abroad for tourism and business. 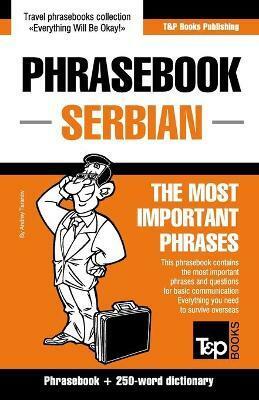 The phrasebooks contain what matters most - the essentials for basic communication. This is an indispensable set of phrases to "survive" while abroad. Some of the topics included in the phrasebook are: Asking for directions, Signs, Transportation, Buying tickets, Hotel, Restaurant, Shopping, Greetings, Acquaintances, Communication, Gratitude, Health problems, Apologies, Farewell, and more. You'll also find a mini dictionary with 250 useful words required for everyday communication - the names of months and days of the week, measurements, family members, and more. Take "Everything Will Be Okay" phrasebook with you on the road and you'll have an irreplaceable traveling companion who will help you find your way out of any situation and teach you to not fear speaking with foreigners.